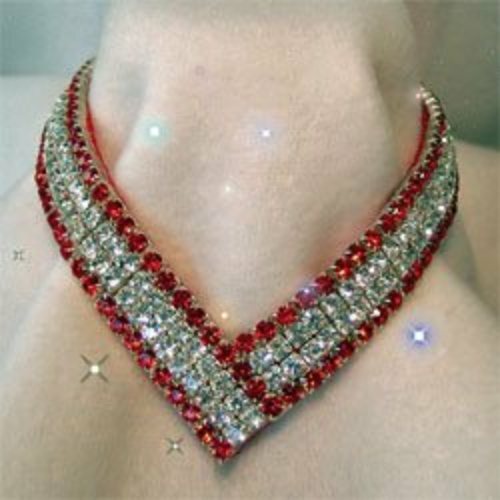 Dare to be different in this designer Diamond & Ruby dog collar. This red collar is 5/8" wide. The V shape sits on the chest, the leash hook and buckle are at the top of the neck. It is loaded with diamond & ruby rhinestones! A stunning collar, just remember who you bought it for.